UCF graduate student Diana Abarca is one of three students nationwide selected to receive a $5,000 Minority Student Scholarship at the 2018 American Speech-Language-Hearing-Association convention Nov. 15-17 in Boston. The ASHFoundation chose the communication sciences and disorders master’s degree student for the scholarship based on her academic achievement and promise, and the foundation will make the award. 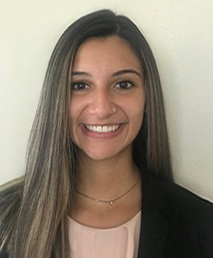 Abarca earned her bachelor’s degree in communication sciences and disorders at UCF as a Burnett Honors College student and graduated with a 3.99 GPA. As an honors student, she completed a thesis on the role of adolescent mothers in their child’s development of language and literacy under the mentorship of Assistant Professor Jacqueline Towson. Abarca went on to volunteer in Towson’s lab, serve as her lab coordinator ― a position she still holds, and coauthor three manuscripts, one already published in a peer-reviewed journal. As an undergraduate, Abarca made a service-learning trip to Nicaragua to help implement health and engineering projects in two rural communities. Abarca developed a passion for helping others as a high-school student and founded her own nonprofit, Charisma’s Crayons, to empower at-risk students. Today she is passionate about extending speech-language pathology services to underserved populations, particularly those in developing countries, and to adolescent parents and their families, she said. After completing her master’s degree at UCF ― with support from her newly earned scholarship ― Abarca plans to pursue a doctorate and conduct research focused on families of underserved populations. UCF’s School of Communication Sciences and Disorders will be well represented at the 2018 ASHA convention, with 13 faculty members and six graduate students presenting their research: http://bit.ly/2DEv5Wn.